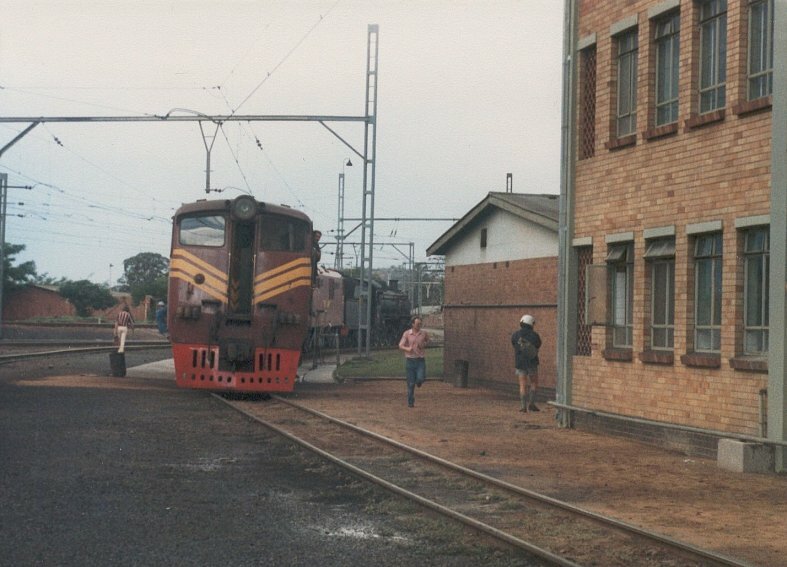 Between 8th and 22nd of November 1980 the author spent two weeks in South Africa supporting the SAR trials of the BR/Brecknell Willis high speed pantograph. 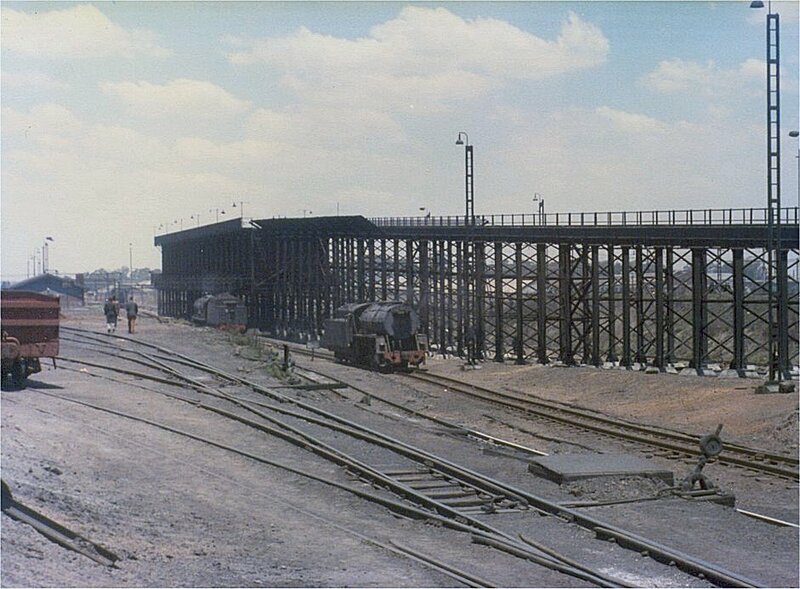 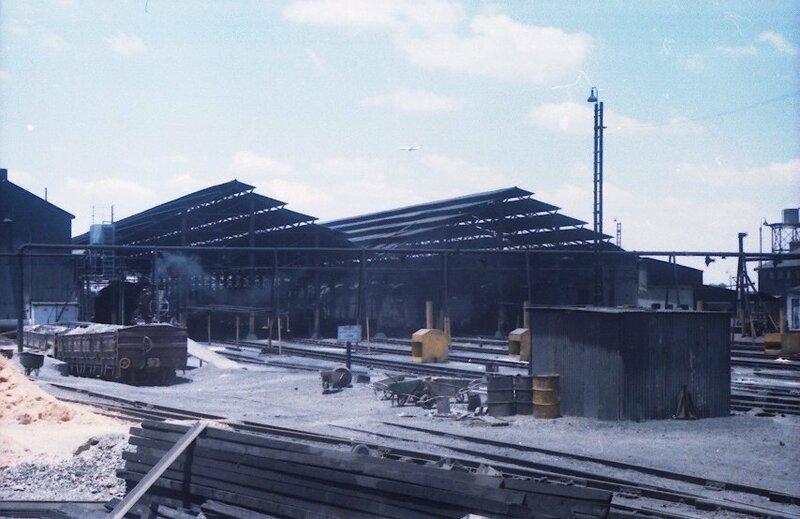 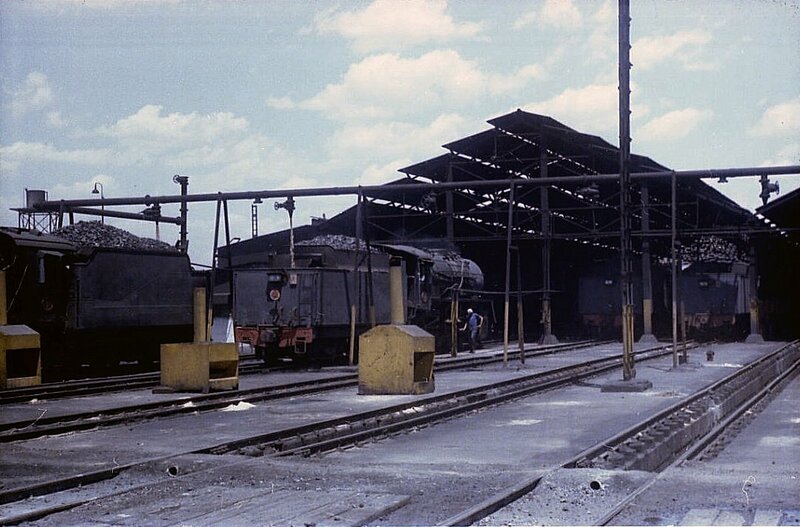 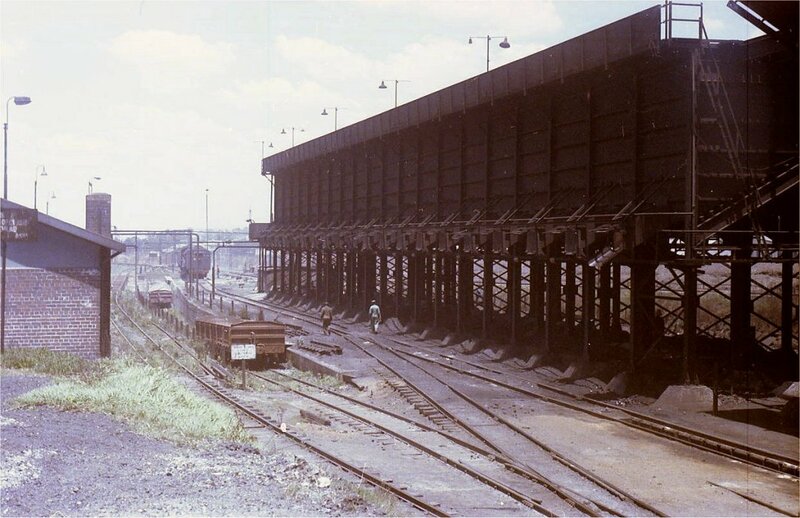 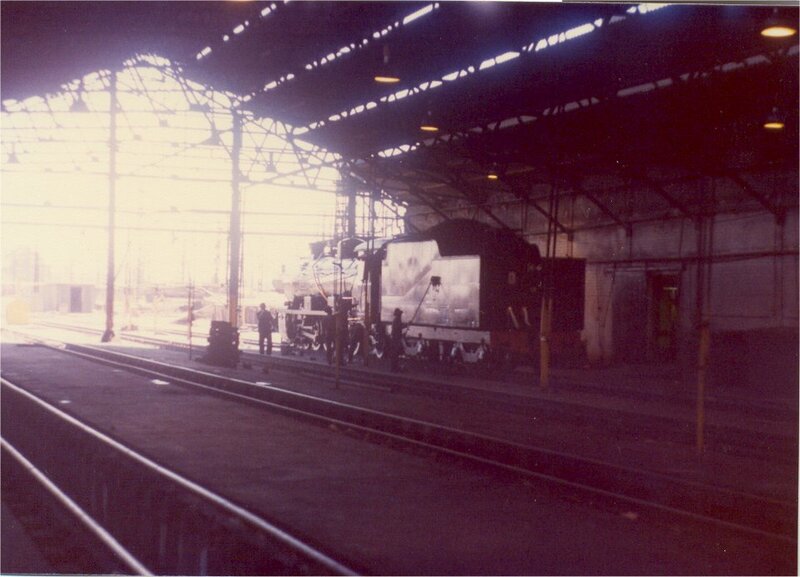 On 11th November 1980 a class 19D 4-8-2 loco propels the 6E1 electric locomotive into the shed at Capital Park depot near Pretoria. 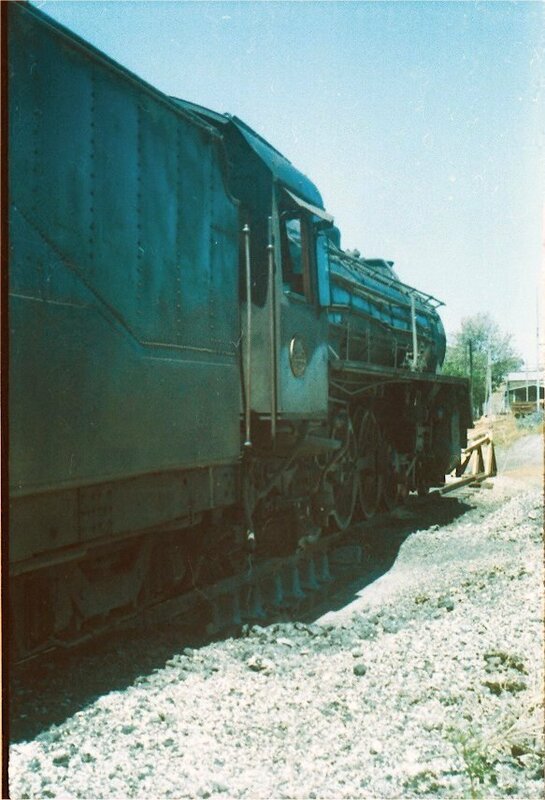 A closer view of the 19D.. 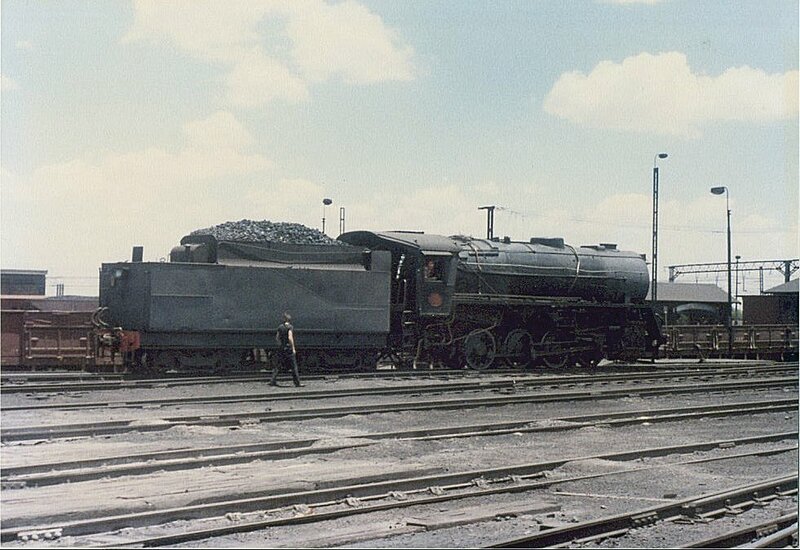 I managed a footplate ride on this loco later around the depot - in the middle of a thunderstorm! 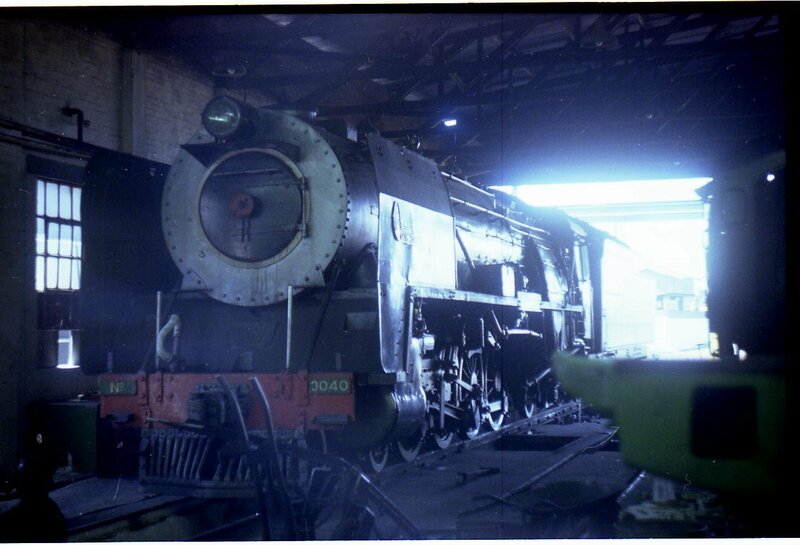 Got very wet but dried off in front of the fire hole door. 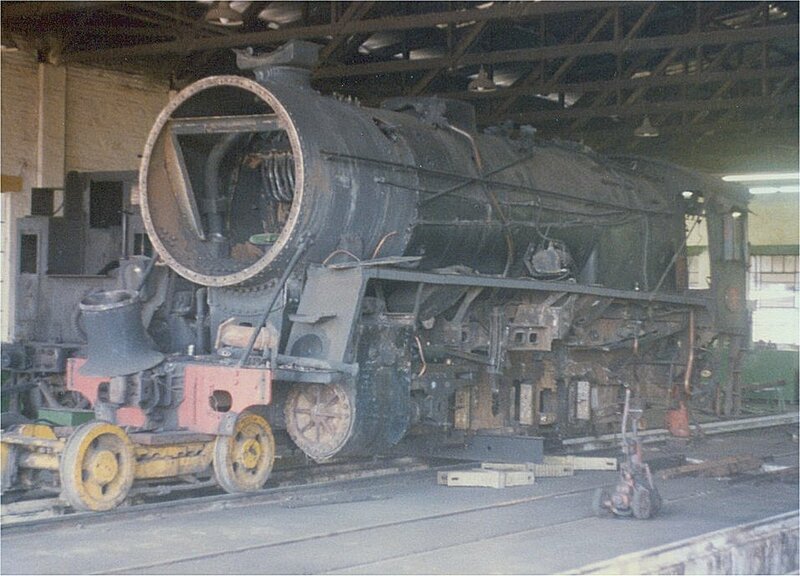 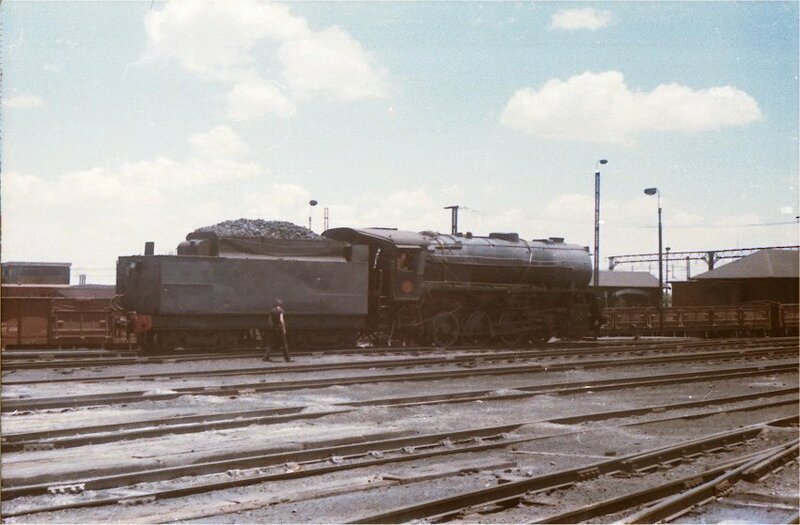 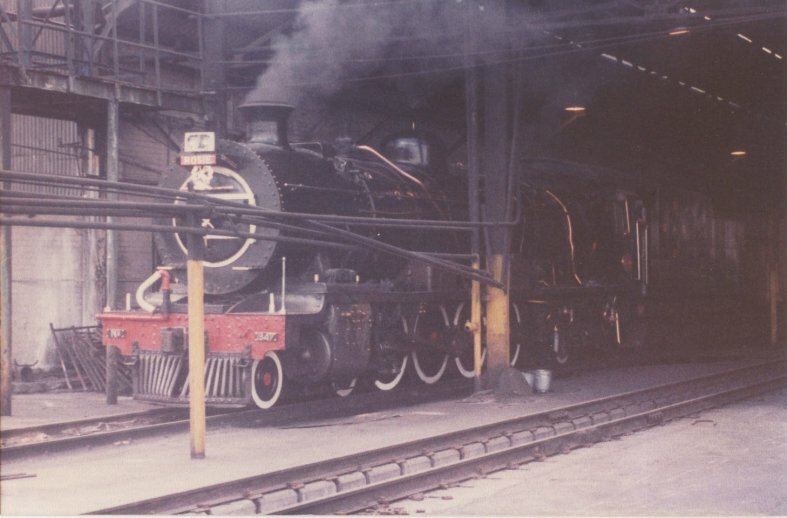 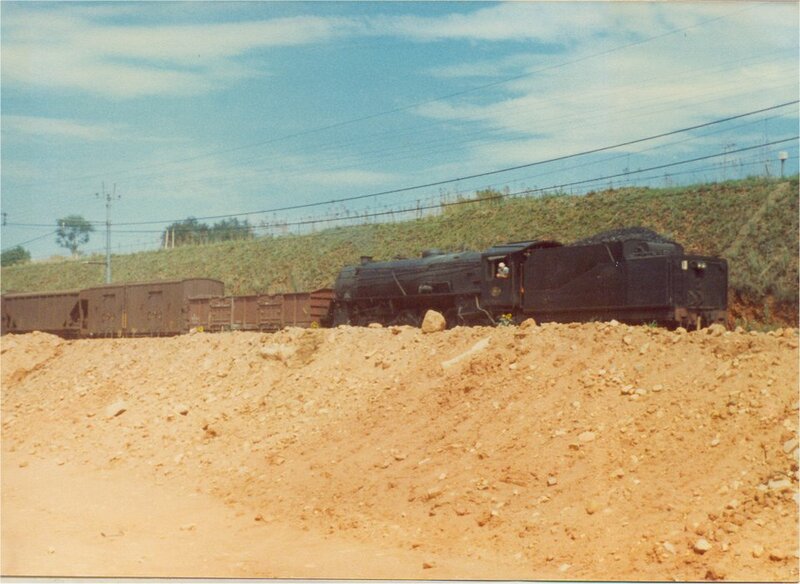 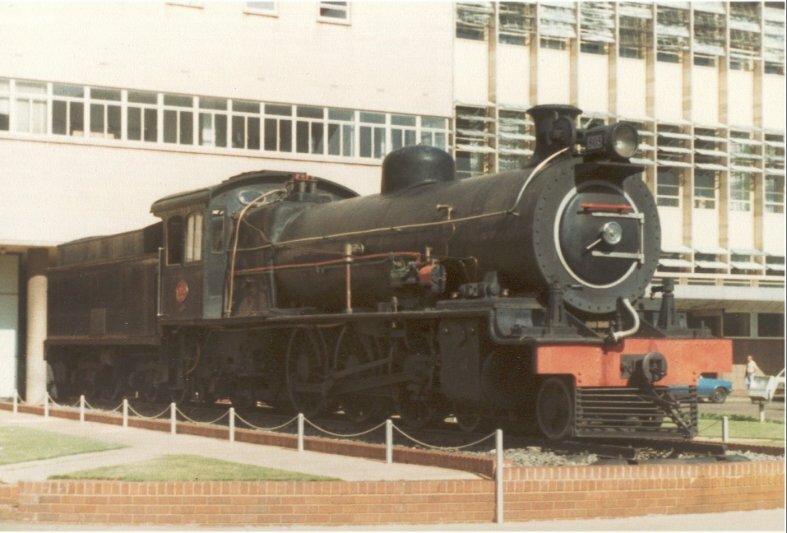 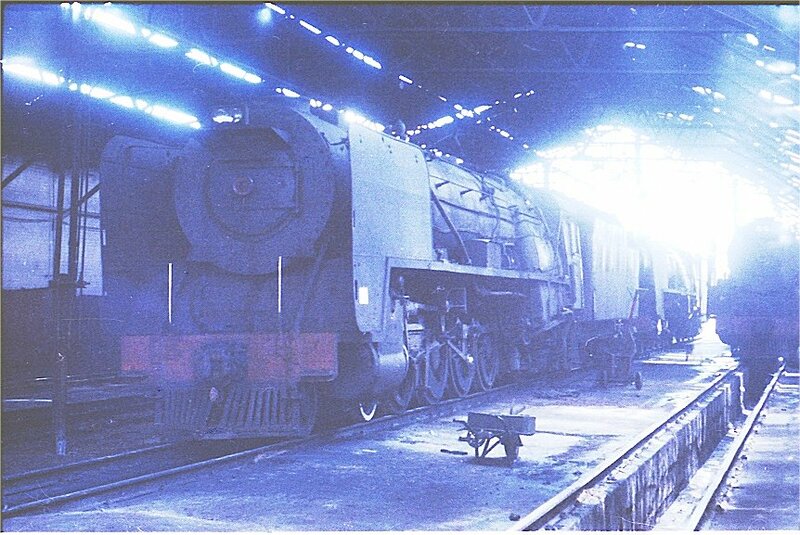 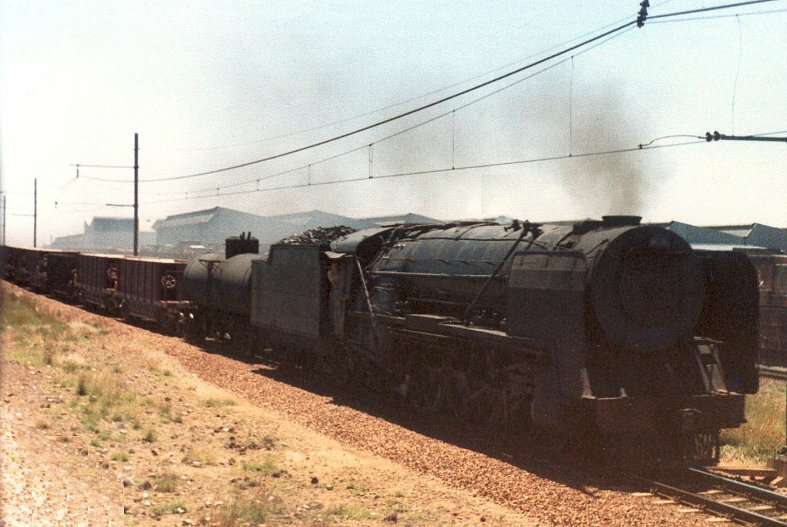 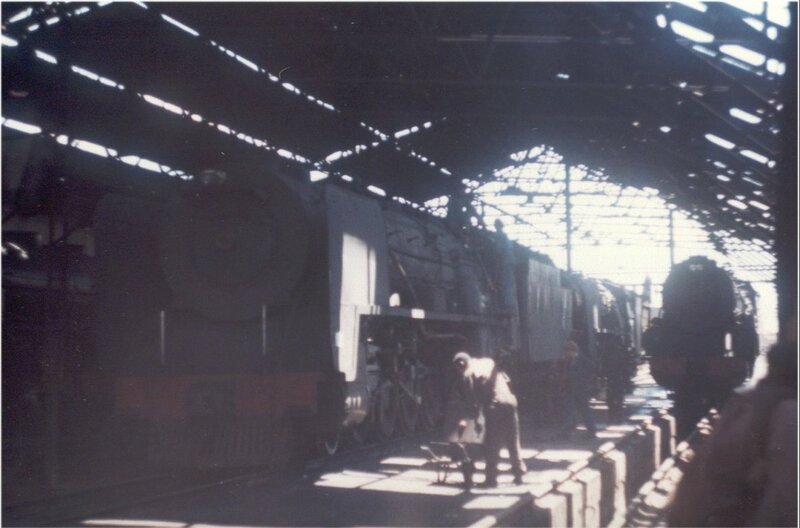 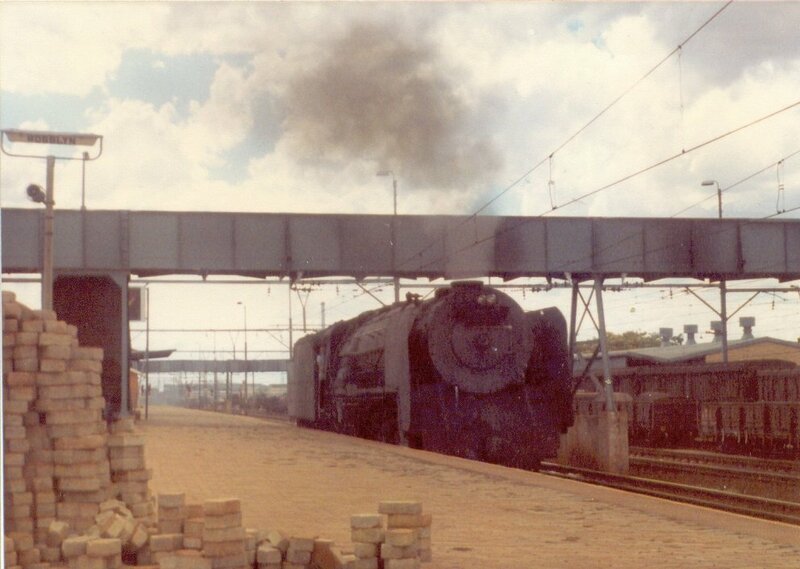 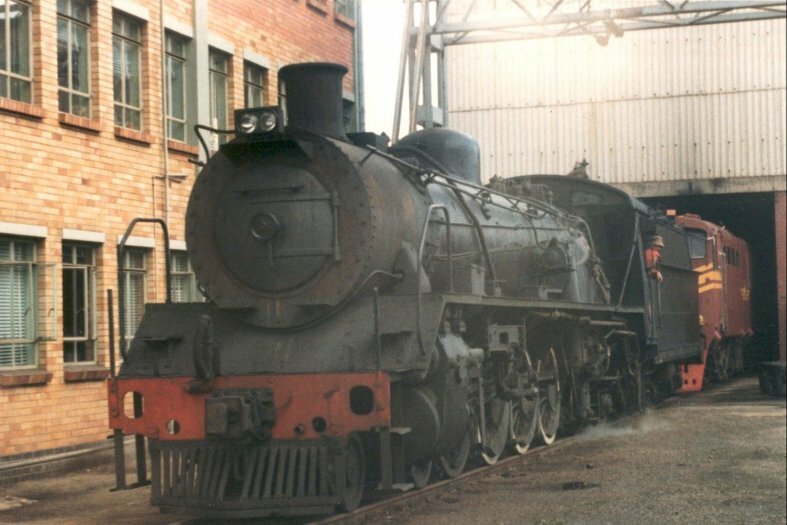 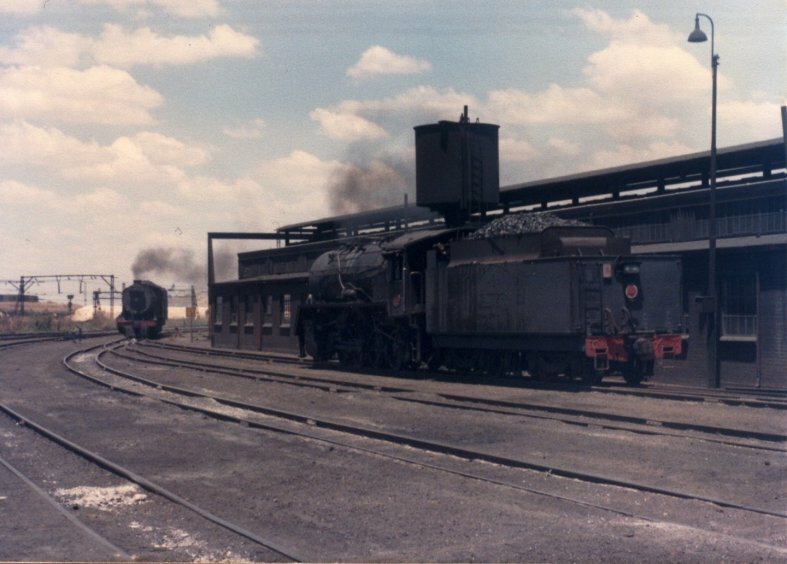 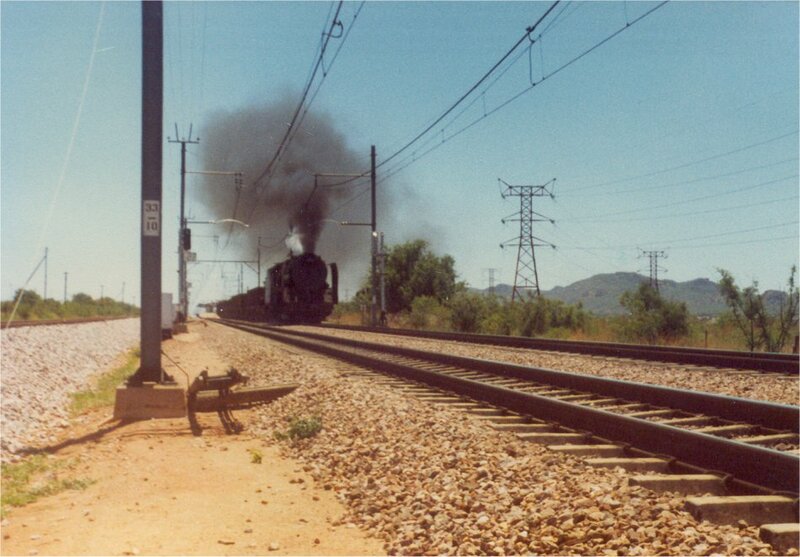 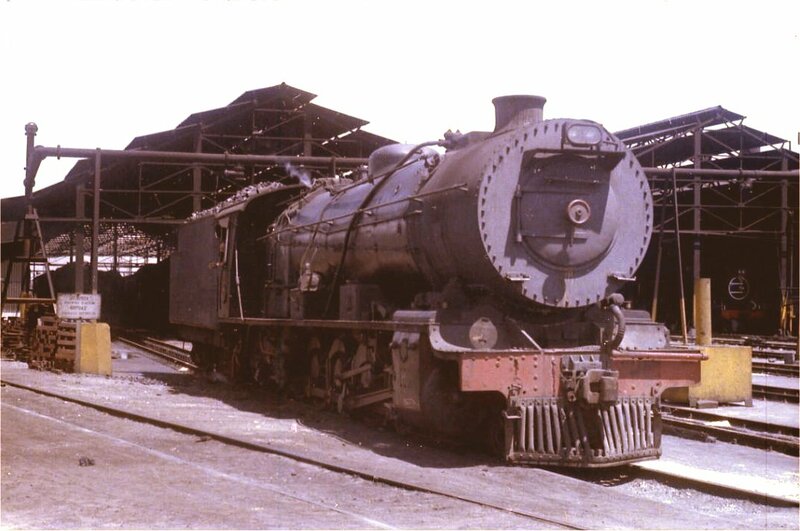 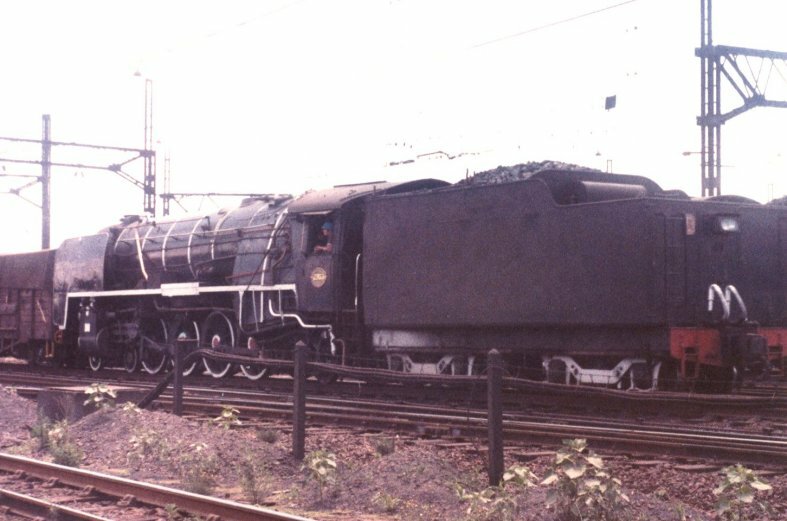 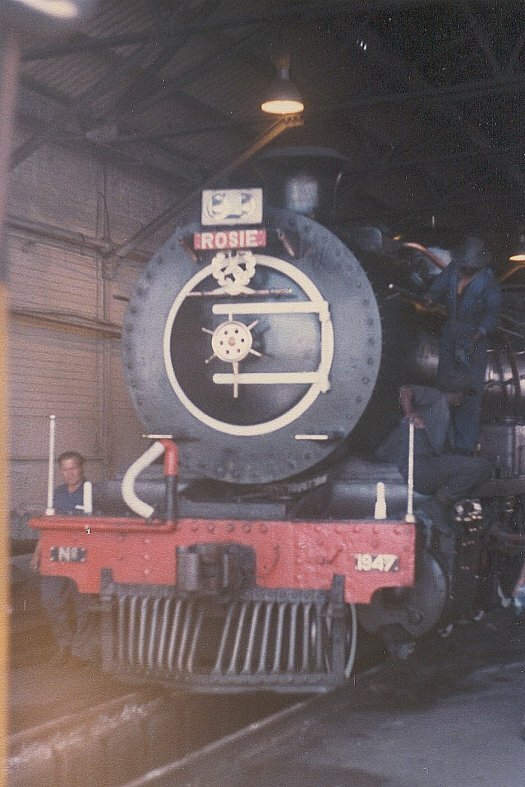 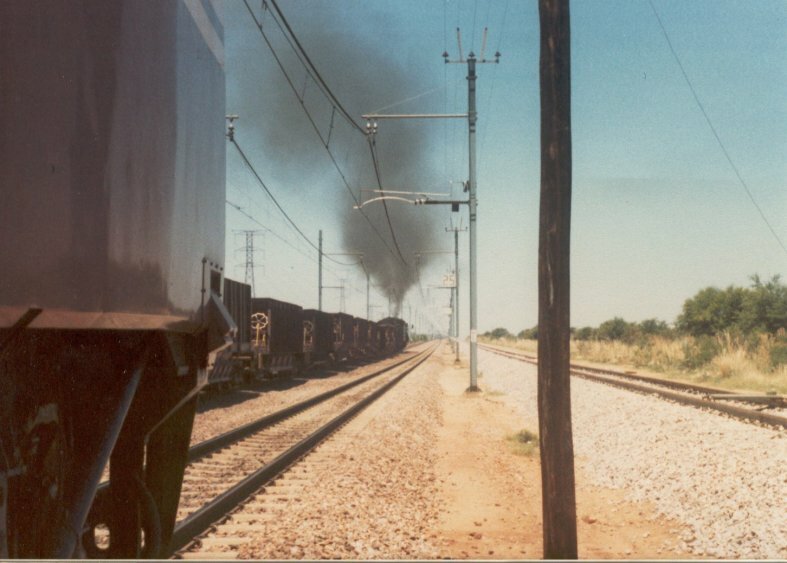 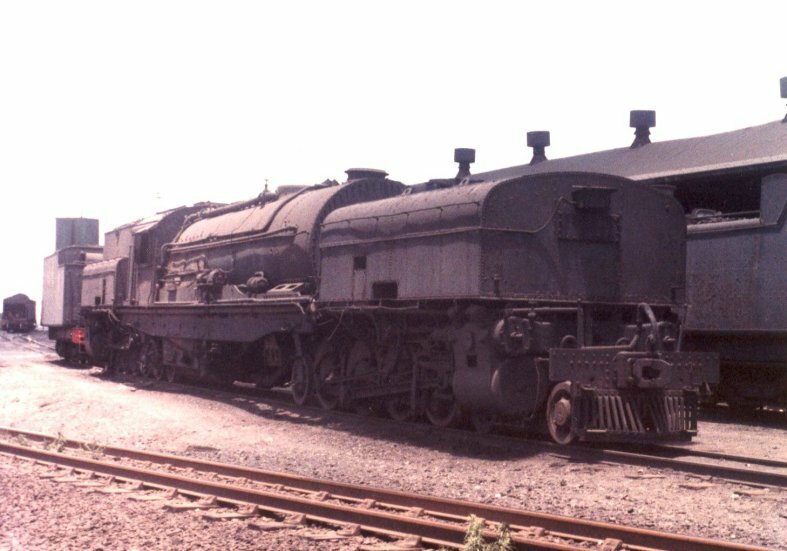 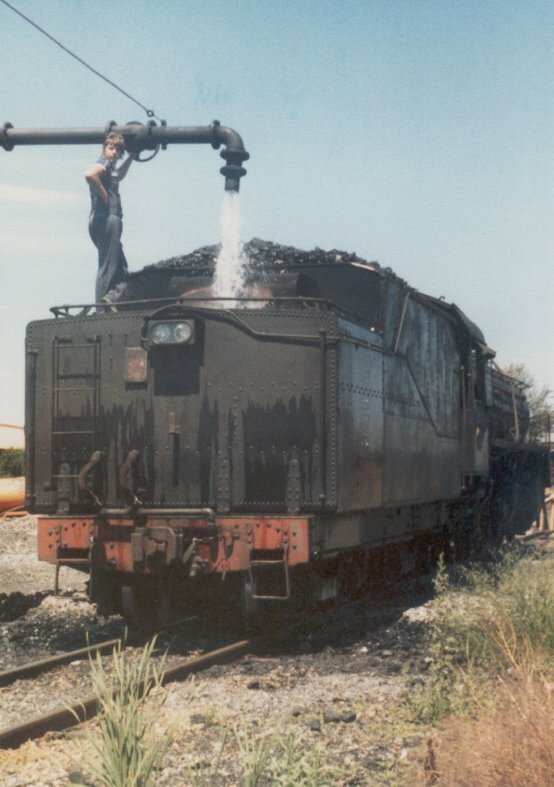 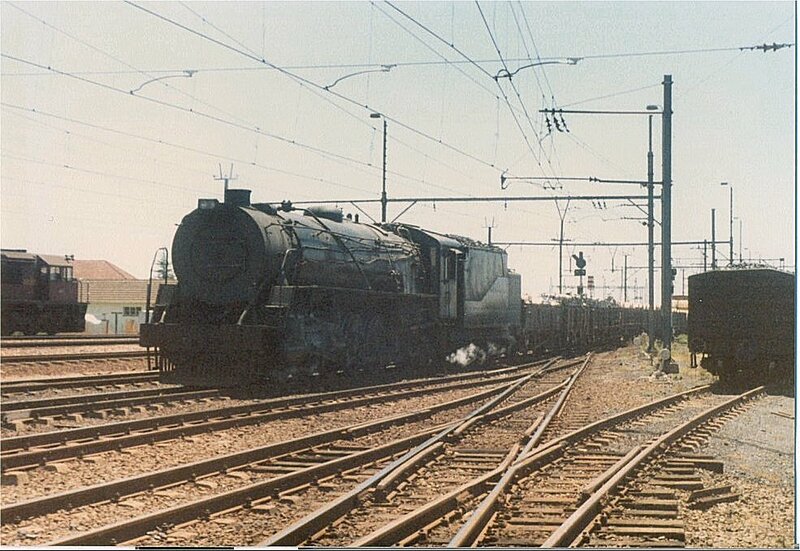 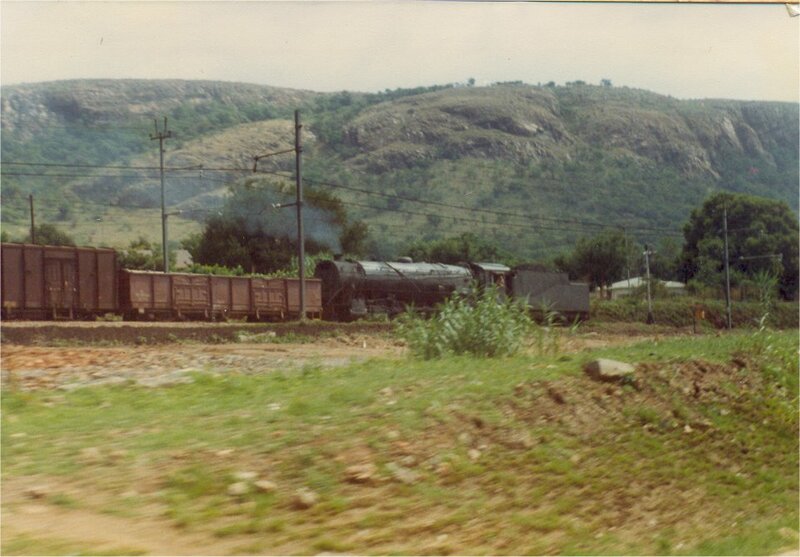 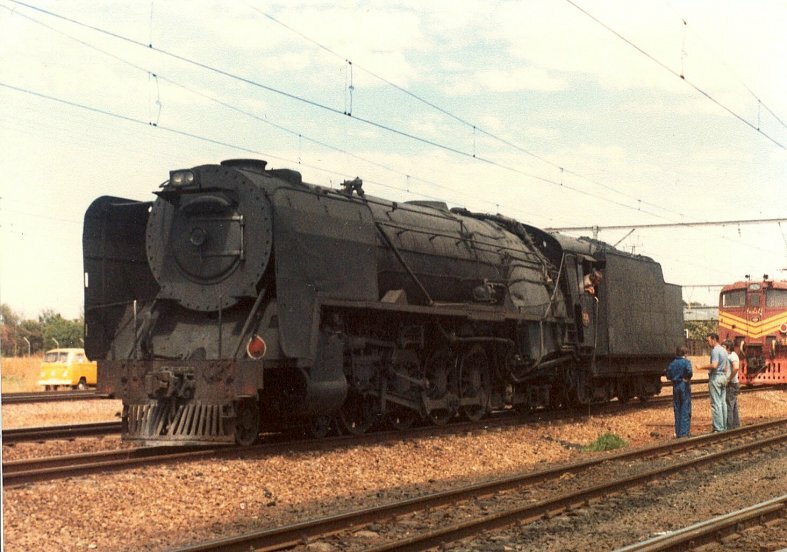 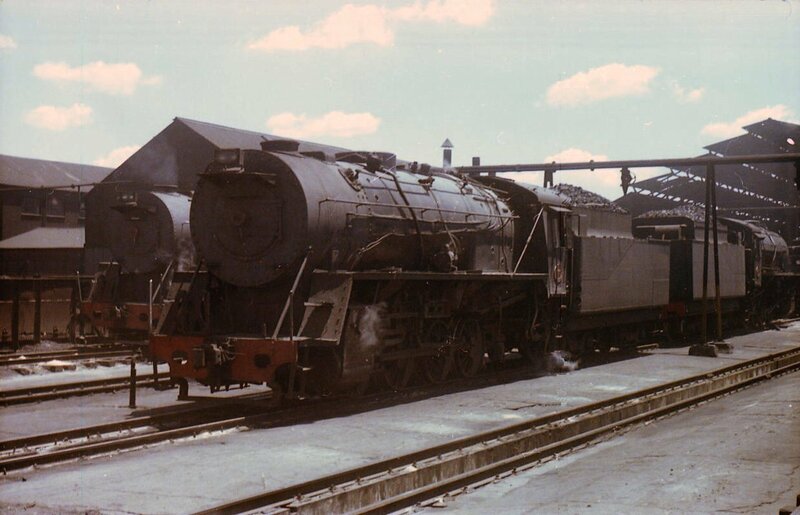 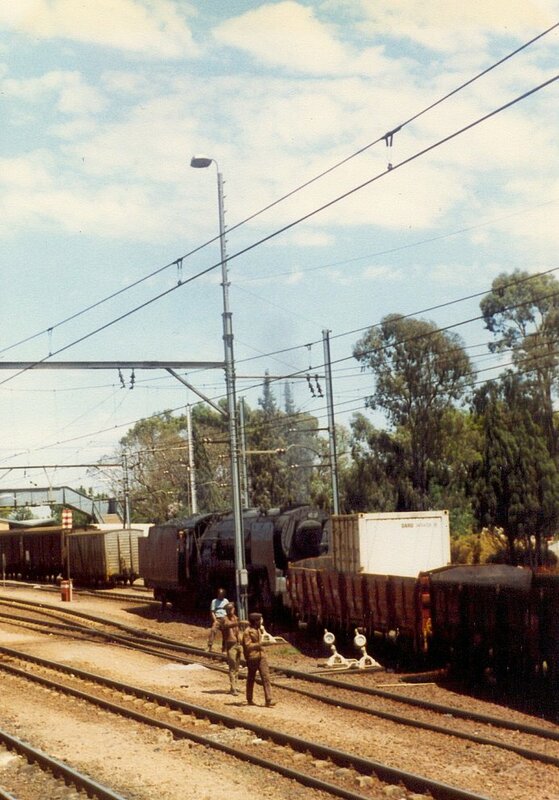 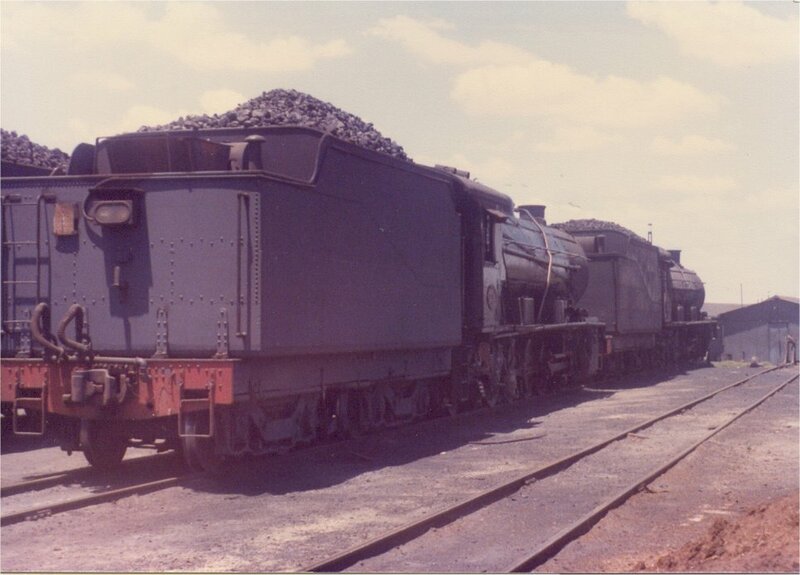 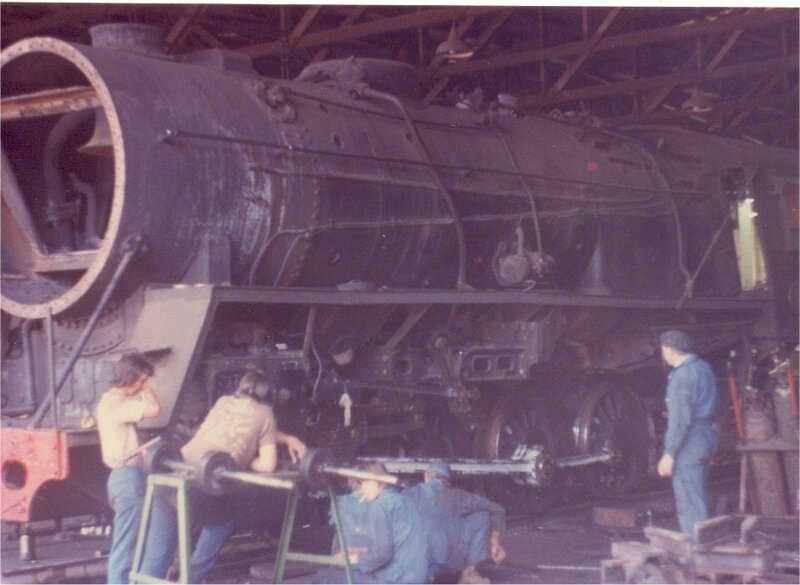 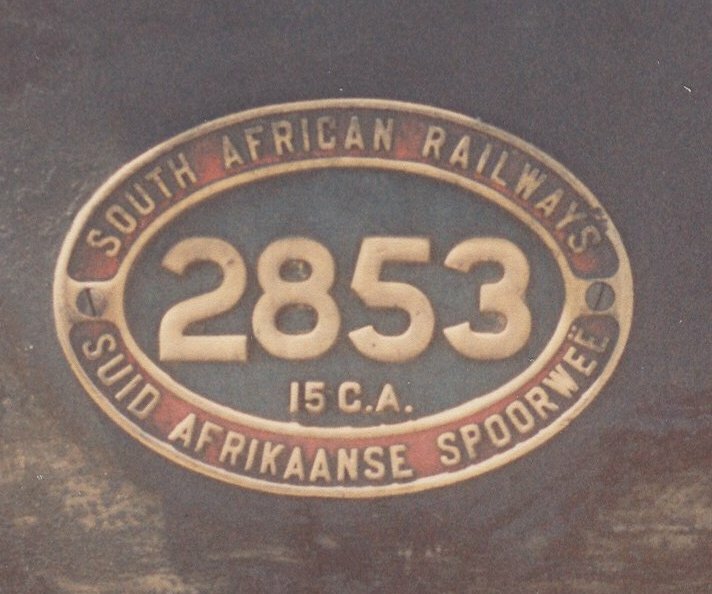 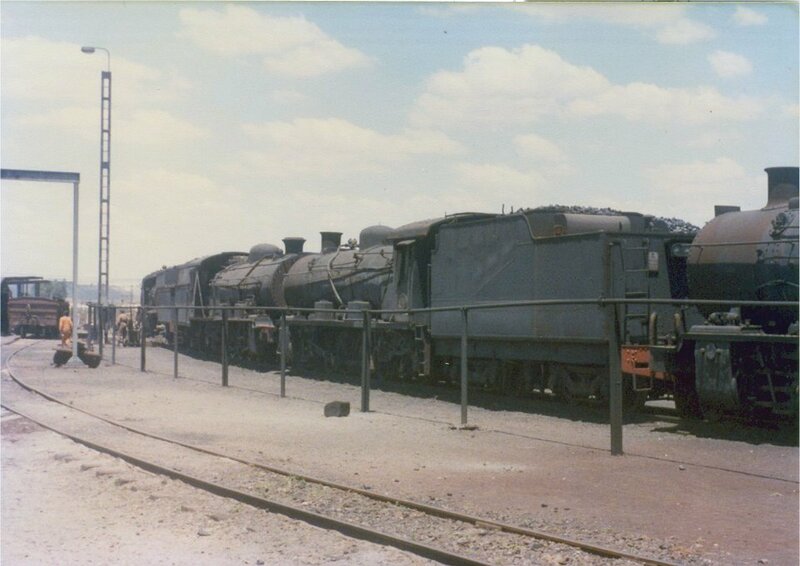 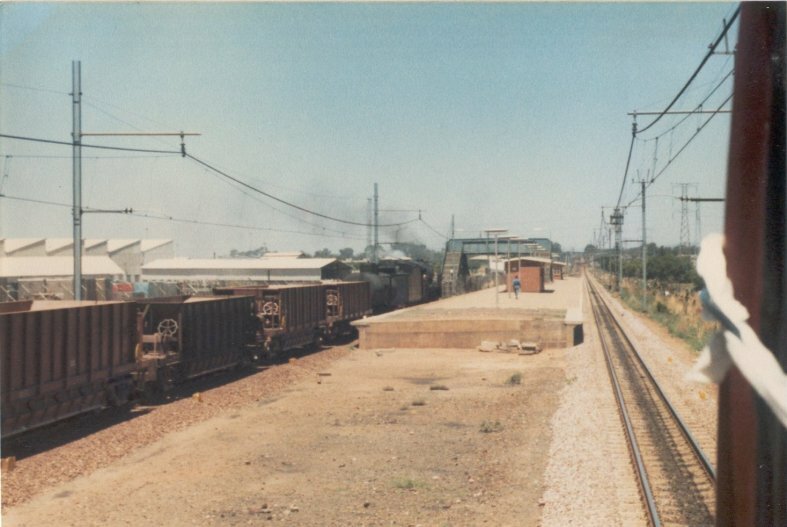 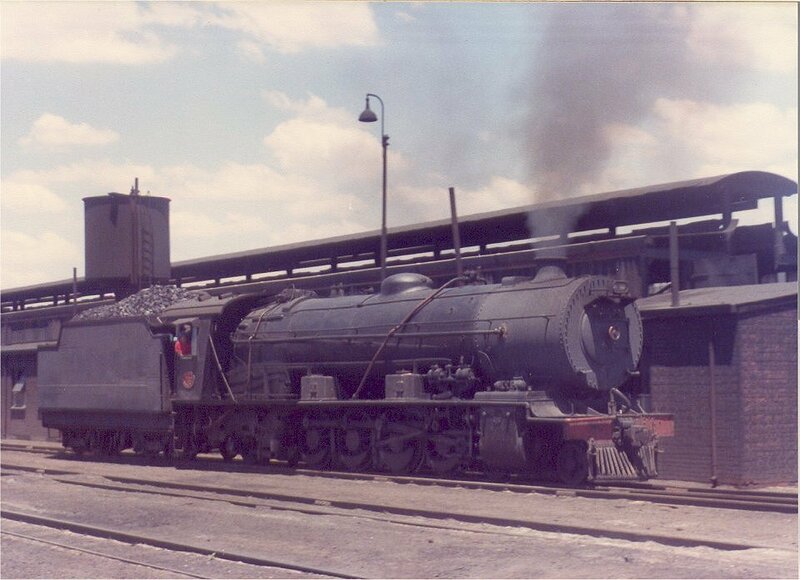 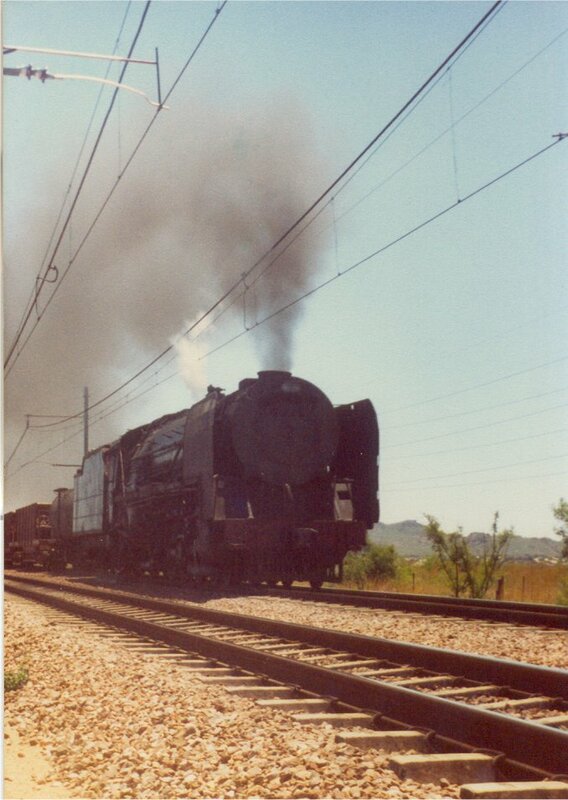 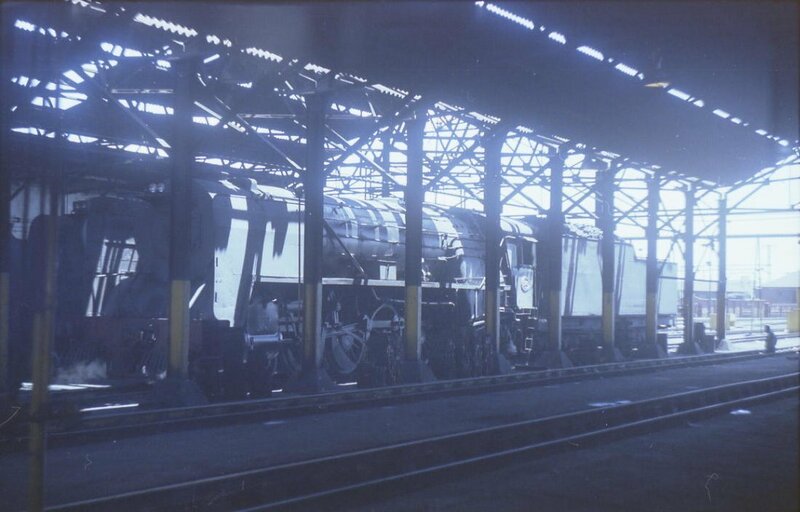 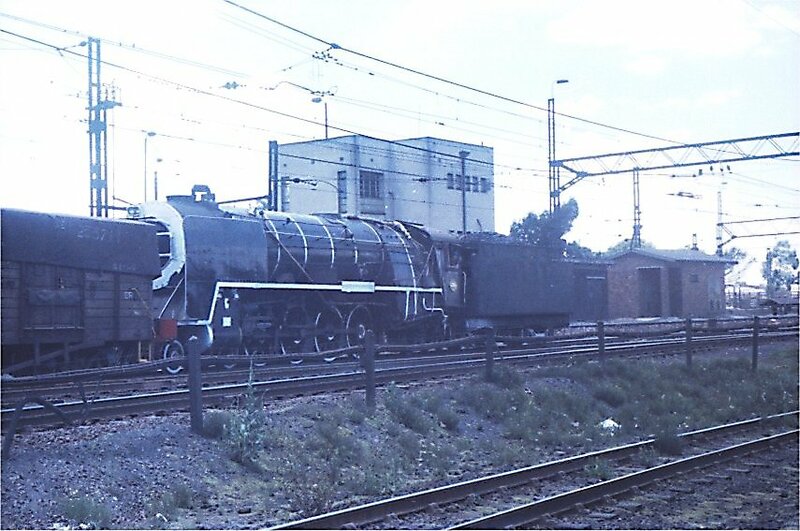 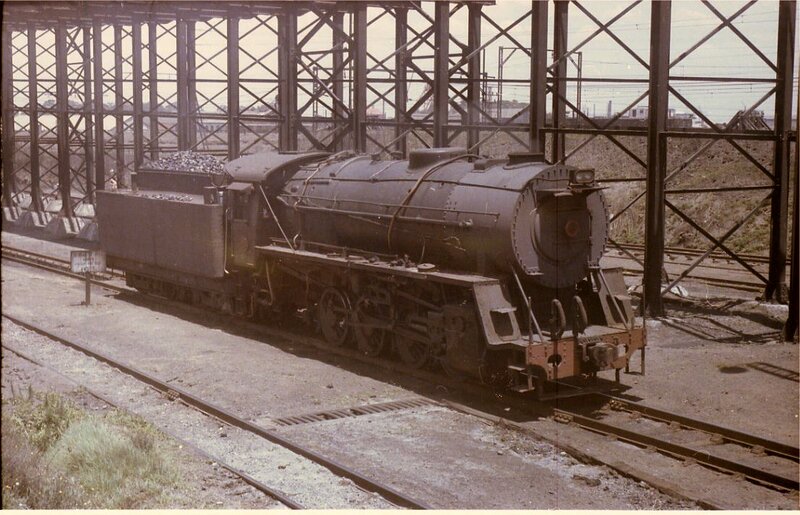 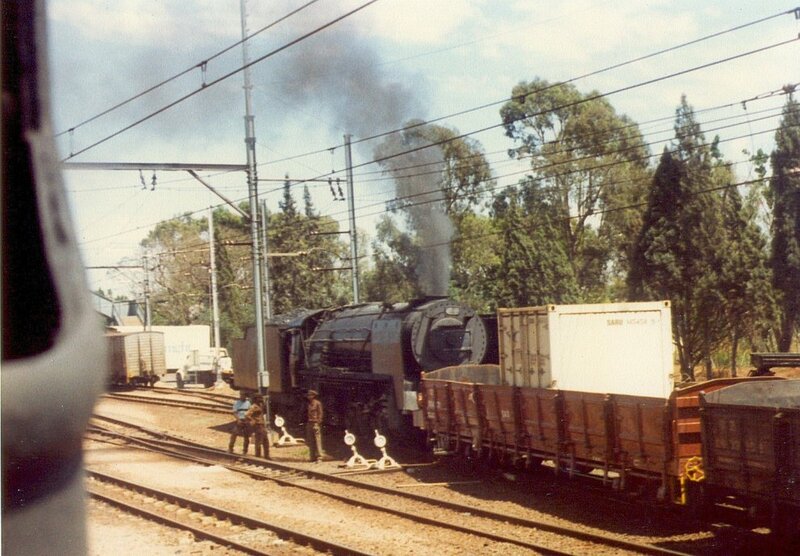 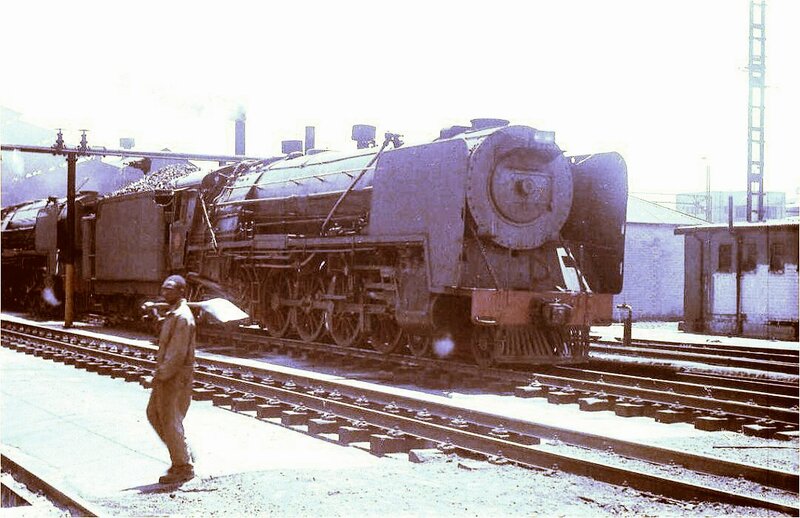 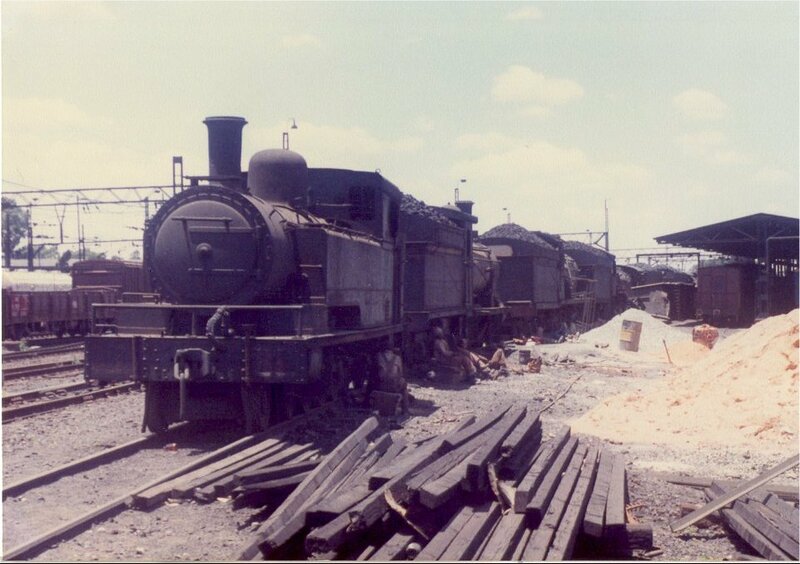 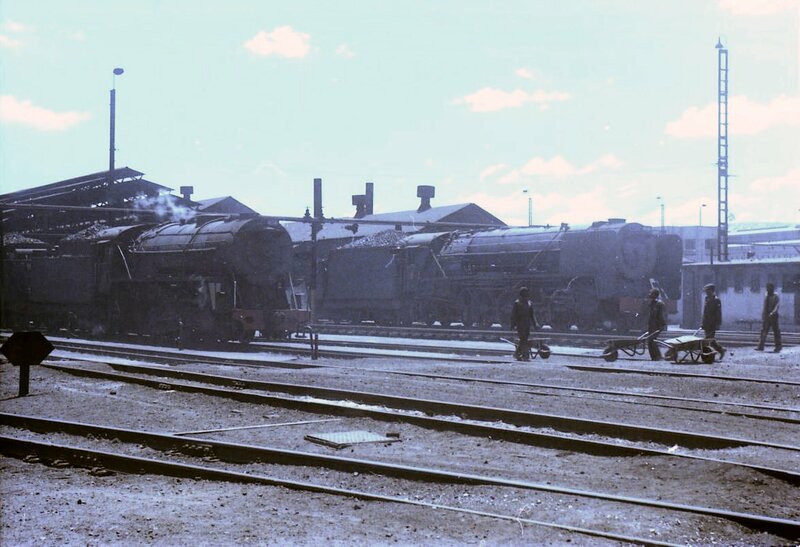 Temporary resting place for steam in South Africa - a class 16B 4-6-2 No:805 outside Johannesburg station- now in the OUTENIQUA TRANSPORT MUSEUM at George in the Eastern Cape.